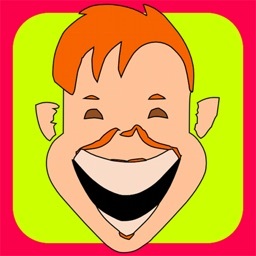 Welcome to the hottest new joke app! 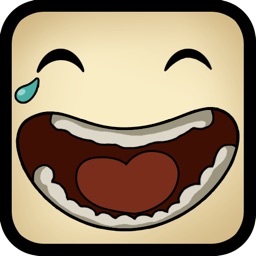 From the creators of the popular app LOL Pics, here is LOL Jokes. LOL Jokes has a different take on delivering jokes. 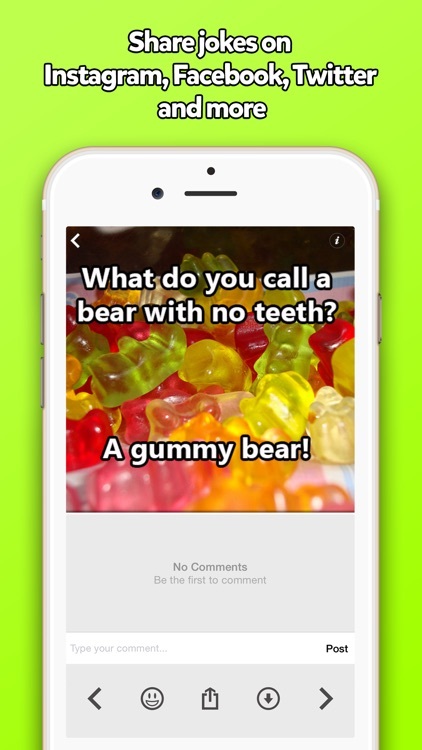 Instead of boring text-based jokes, our jokes are on actual PICTURES! What does this mean? ▸ You can share them on Instagram, Facebook and other social websites. ▸ You can quickly and easily share with with your friends via text message and email. ▸ Your friends will think you are the funniest human being alive. ▸ Jokes + Pics = HILARIOUS content. Simply put, our jokes are the best in the west. Bored? 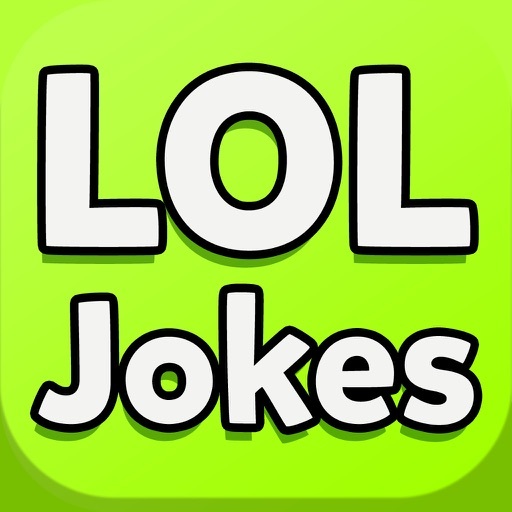 LOL Jokes is updated 24 hours per day. This means that there is always something fun and new on LOL Jokes. 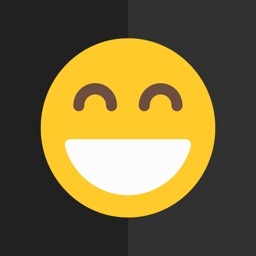 On LOL Jokes, you can add your own funny comments on jokes quickly and easily. As LOL Jokes gets more popular, we will post more jokes. And pretty soon, you will be able to submit your own jokes! 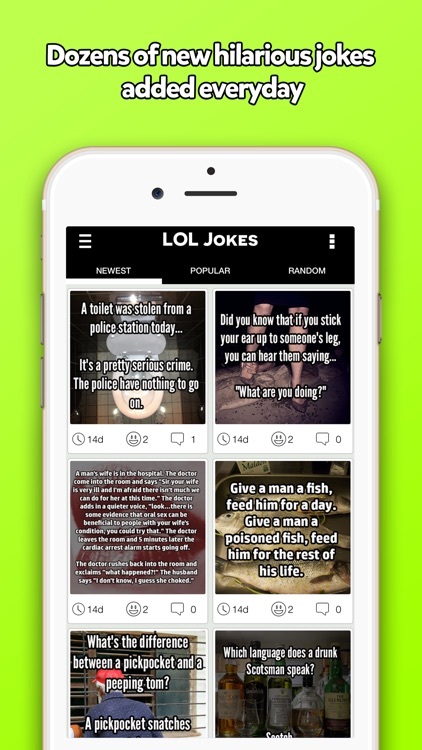 Whether you like long jokes, short jokes, funny puns, yo mama jokes, adult jokes, blonde jokes, funny jokes about celebrities or other types of jokes, LOL Jokes is the app for you! 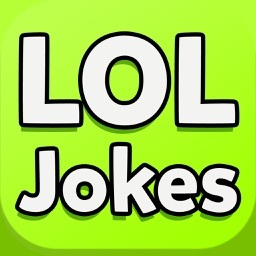 Get LOL Jokes now and join the hundreds of thousands of people craving funny jokes everyday.